The holidays are quickly approaching, creating an endless euphoric energy of joy and happiness. As we warm our freezing hands with hot apple cider and enjoy a crackling fire, it’s easy to feel Christmas in the air. Dazzling lights and endless glam will soon brighten windows around the world. Are you ready? 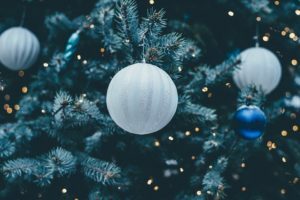 Follow along for some of the top Christmas trends for 2018. This year, shoppers can be on the lookout for trendy colors such as shades of blue and pastels. Jewel tones, metallics, and glitter are also favorable holiday design elements. In addition, soft blush will continue to surface in home decor throughout the holiday season. While the traditional red, green and gold will always be timeless, more creative uses of mixed tones will step up to play a key role. There are also new and innovative ways to support Christmas trees. 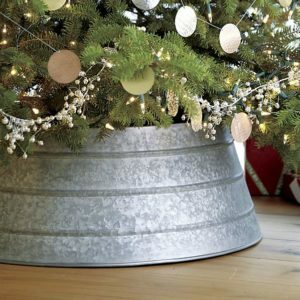 You can expect decorative tree containers to sweep the market, replacing the traditional tree skirt. Rustic accents and Scandinavian style will also liven up Christmas tree displays, with hints of metal and other natural elements. The old saying “less is more” is especially accurate with these current trends. Whether you plan to purchase a real or artificial tree, how can you know what size you need? Balsamhill.com is a great resource to explore specific trees based on your home’s space and your own personal criteria. Flocked trees are also becoming more popular as they create the perfect snow-capped backdrop for your theme of choice. Thinking of doing this on your own? A can of spray flock can transform any fir into an elegant flocked tree fit for the holidays. Be bold with flock, ornaments, garland, etc–artificial trees in particular have sturdy wires that are easy to bend and manipulate to better hold decor. When you think about decorating for the holidays, your mantle is probably one of the first things you imagine. Nothing makes a bigger statement than a well dressed mantle for the holidays. 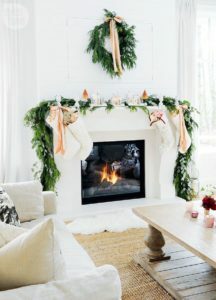 Don’t shy away from adorning your mantle, tabletops, doors or anywhere else in your home with fresh evergreens, berries, plaid, and other elements that brings out the best of the Christmas season. Welcoming family and friends is one of the best parts of the holidays. What better way to say “come on in” than with a gorgeous entryway and front door? Boxwood wreaths step up to the challenge adding colorful flair to any front door. Nothing welcomes guests more than a doorway filled with wreaths. Don’t be afraid to mix your greens, also. Adding a magnolia or eucalyptus wreath to the mix will bring out the beauty of the season and these different textures will add warmth and depth to your home. We hope you feel inspired this holiday season! 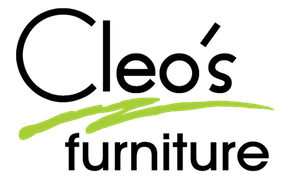 Stop by Cleo’s Furniture for unbelievably low prices and quality products! For over 30 years, Arkansans have been able to confidently outfit their homes with affordable pieces, and it’s no different to this day. We look forward to helping you find your next treasure!